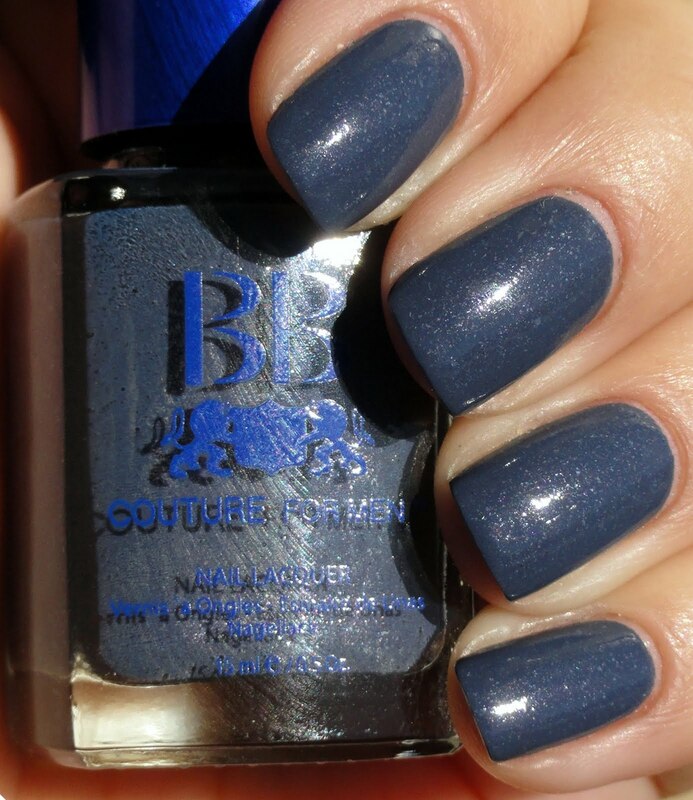 I have been lemming this particular BB Couture polish for pretty much ever, so when BB had their "green sale" for St. Patrick's Day, I knew I wanted to get a few greens so I threw Impact Driver in my cart as well. 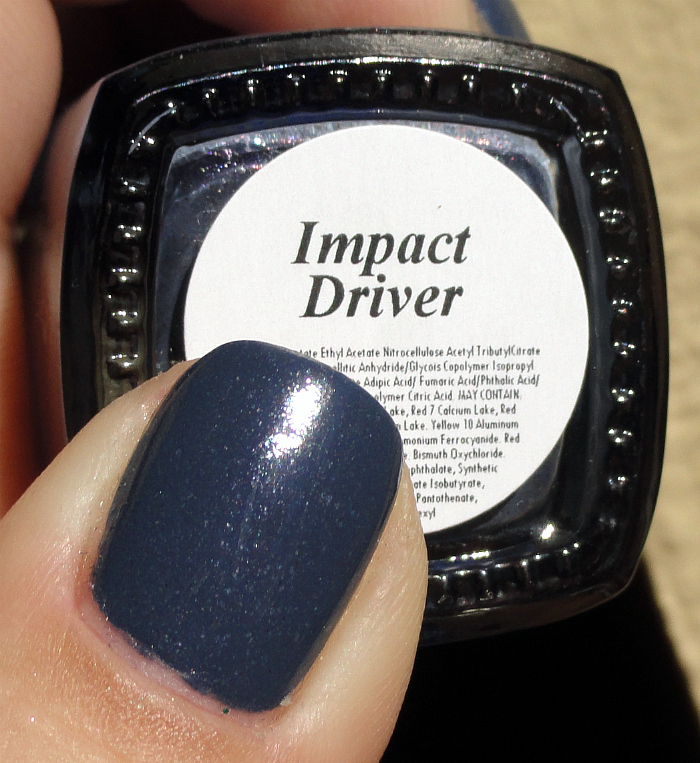 It's a dusty blue with a grey tone, packed with subtle microshimmer in silver, pink and blue. 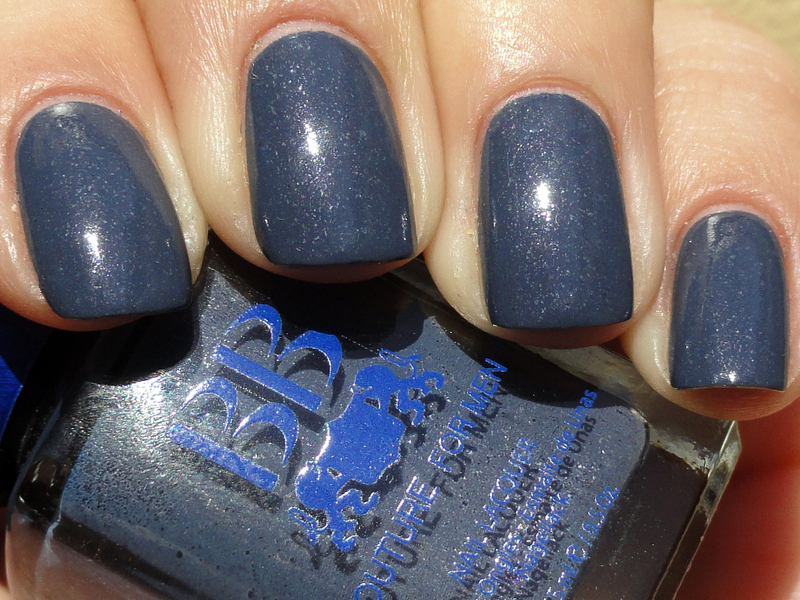 I've been told this polish is a suitable dupe for RBL Catherine H, would be interested to see a comparison on those two. This is two coats. One of the best BBC's I've used to date, incredible formula.